Lottery officials said Thursday that someone in Michigan purchased the winning Powerball ticket—worth $337 million. 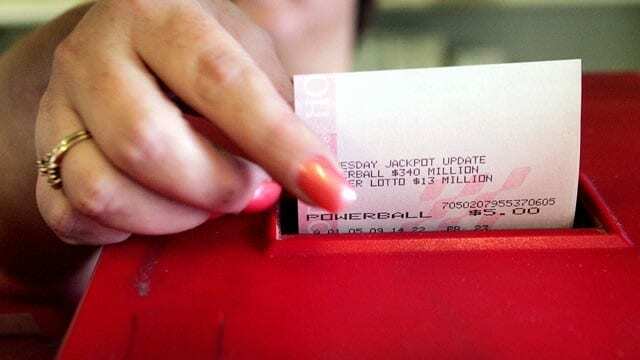 Held in 42 states, the U.S. Virgin Islands and the District of Columbia, the Powerball jackpot grew Saturday after no one claimed the winning ticket. The winning numbers are 6, 27, 46, 51, 56 and 21. Eight tickets won the $1 million Match prize. This entry was posted on August 16th 2012 at 3:27pm/15:27 and is filed under Live News Column 1. You can follow any responses to this entry through the RSS 2.0 feed.